A present-day office depends on so many electrical devices that a power outage would cause a halt in their operations. What this means is that the prevention of such a thing and a timely response may be crucial for your productivity. With that in mind and without further ado, here are several things you need to know in order to be prepared for a situation like this. There are too many different factors that could potentially cause a power outage but you need to be prepared for at least several most common causes. This will allow you not only to anticipate them but also to actively prevent and prepare for them. First of all, there’s the issue of atmospheric occurrences like storm, hail, snow and ice. Debris caused by strong wind (especially broken branches and outrooted trees) can interfere with the wiring, thus causing a major power outage. The same thing goes for the traffic accidents, in a scenario where a vehicle hits a utility pole. Earthquakes are yet another factor to bear in mind. Now, if there’s one thing that you could notice from the previous section, it’s the unpredictability factor that is closely tied to all of these scenarios. You can never accurately predict an earthquake, a lightning strike or a collision with a utility pole, which means that you can’t properly prepare for the scenario either. On the other hand, what you can predict is a period of high power usage in the area. For instance, during the summertime, a lot of people keep their AC units and fans working 24/7 which significantly increases the power usage in the area, as well as the chance of a power outage. Making sure that your grid is in perfect order might be the best way to prevent this trouble. In the case of a power outage, you need to have a pre-determined pattern of behavior to stick to. The first thing you need to be prepared for is the fact that the loss of light (that comes with the loss of power) might cause a panic. This panic alone can do quite a bit of damage, so your first course of action should be ensuring that everyone remains calm. Also, remember that the evacuation may not be necessary, so only do so if instructed by a trained authority. Then, you need to turn off all the electrical appliances in order to avoid the damage that might happen once the power is suddenly restored. Lastly, seeing as how time might be of the essence, contact your emergency electrician and patiently wait for their arrival. There are also some items that might come in handy during such a scenario. For instance, you definitely need a flashlight and some disposable batteries but your list can expand according to your specific situation and your needs. Radios and some supplies (water and food) may also be recommended. It’s also smart to have a fully charged power bank for your phone in your drawer, just in case. While this is not necessarily tied to the issue of power outage prevention and response, it definitely has something to do with damage control. For instance, if you have an office that works several hours, days or weeks ahead of time, this small downtime will be a minor setback. However, if you have a team that’s used to handling everything last-minute, the loss of a couple of hours or a day will be a major problem. Also, keep in mind that the loss of light in the office may be a massive safety issue, which means that, should the scenario take place, it might be the safest to just call it a day and let everyone go home. It’s better to be safe than sorry. 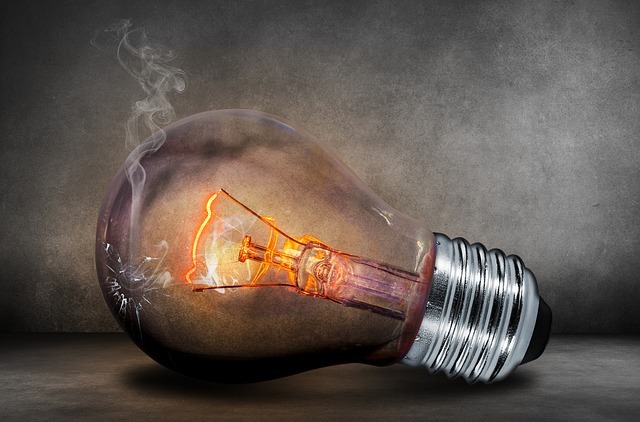 Even though there are times when there’s nothing you can do to prevent a power outage (and an independent power generator is not a cost-effective option) there’s so much you can do for the safety of your team and damage control. If you are going to make it, this needs to become a priority.